Architecture firm NBBJ has unveiled bold new plans for an addition to Amazon’s Seattle campus: three biosphere domes filled with plants. Construction is due to be completed in 2018. On a recent brisk fall evening in New York City, I attended a wonderful panel discussion about the intersection of design, nature, and workplaces. There were four leading experts in the room who are actively involved in a movement we call “biophilic design." The Audience: Varied from office lighting and flooring companies to those in real estate. Gerson went on to share that Edward O. Wilson introduced and popularized the hypothesis "biophilia" in the early 1980’s and defined it as "the urge to affiliate with other forms of life". The principles of biophilia claim that simple exposure to nature has the ability to lower stress, thus producing a healing effect on our bodies. This benefit could include lowering blood pressure, preventing colds, and increasing mental focus. Urban dwellers are at more risk of mental and physical illness from nature deprivation. One of the best resources to understanding the principles of biophilic design is Terrapin Bright Green. They’ve released several in-depth publications around the principles and practices of biophilia. Bill Browning, one of the partners at TBG, was the lead panel speaker at this event. What was especially exciting about this evening is that the discussions revealed information that was “hot off the press.” Below is a collection of highlights from the 45 minute discussion. I hope you’ll find them as fascinating as I did. Helena van Vliet opened the conversation detailing how zoos used to house their animals in concrete cages with iron bars. Over time, zoos began to create environments which were less artificial and more representative of an animal’s natural habitat. As you would imagine, overall health and survival rates of these animals took a positive turn. People are not that different and we have an instinctive desire to spend time in parks or hiking paths. To put it simply, these things can just make us feel better. See Japanese "forest bathing" for example. It’s no secret that millennials are making more demands around work than their predecessors. Per a HBR 2016 study, millennials want to work for organizations that prioritize growth and innovation. A workplace's environment is a major key to attracting young talent, which is absolutely essential to keep a company fresh during rapidly changing times. 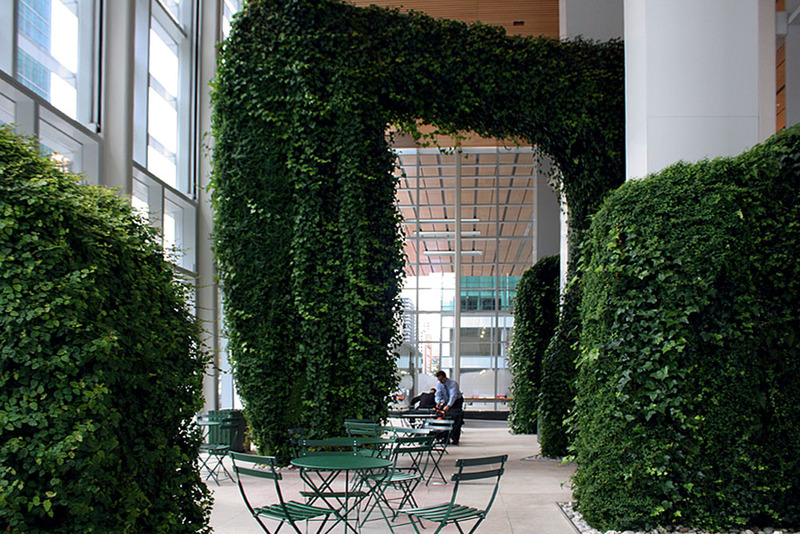 We know biophilic design promotes emotional well-being, but could this also be an opportunity for a company to receive a return on their bottom line? On average, businesses are spending 10% on energy/rent and 90% on staffing (salaries and benefits). Of that 90% of a business' staffing costs, an estimated 4% is due to absenteeism and presenteeism. Absenteeism: When employees take sick days, it equates to lost productivity and revenue. Presenteeism: Other deficiencies in productivity such as loss of focus, negative mood, and poor health during the time a worker is in the office. People are physically present but not performing optimally. The main causes of production deficiencies: absenteeism, loss of focus, negative mood, and poor health. Bill Browning shared with us another example of how visual connection to nature, one of the 14 Biophilic Patterns, helped a company's profit margin. SMUD, a Sacramento-based electric utility company, adjusted desks in their call center 11 degrees off center so that occupants could get more of an outside-facing view. The following year, the average revenue increased by $3000 per workstation. It’s worth noting that the CDC reports $320 billion in healthcare costs per year. 1 in 6 of those dollars is spent on cardiovascular diseases. If workers have no outlet to relieve stress in the office, the premature onset of psychiatric, stress-induced, and anxiety-related illnesses can surface. Biophilia contains principles designed around how we've evolved as humans; it’s not going anywhere. With an increased number of people moving to cities, implementing nature is more important than ever. Built in 1936, Frank Lloyd Wright headed up the architecture at The Johnson Wax Headquarters. 80 years later, this windowless environment lit from above has been preserved in it’s beauty. Some of the stunning room’s biophilic features include red brick, sweeping curves, polished concrete floors, and white dendriform columns. The design team created a beautiful, restorative environment which connects employees and visitors to the Idaho landscape. Post-construction, a discussion came up about how to keep the nightshift crew alert and uplifted. 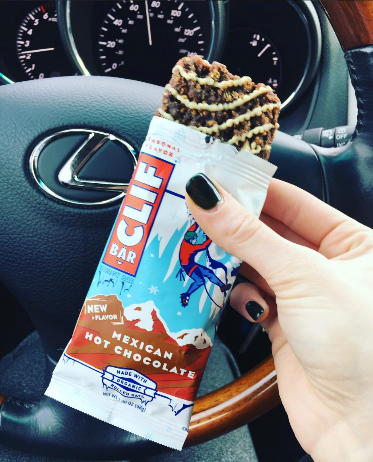 Clif Bar decided to project images from social media of customers enjoying the bars! Now, nightshift workers could connect to a sense of purpose as they glanced at these images of customers enjoying the products that they were helping put out into the market. Imagine you walk into a restaurant and observe the layout. It has traditional tables and chairs in the center of the room and booths all along the perimeter. The hostess asks where you would prefer to sit. Most of us would likely gravitate towards the booths. Our instincts say that having our backs to the wall with a full view of what’s happening in front of us gives a sense of safety and security. This can be described by the Prospect Pattern in the 14 Patterns of Biophilia. It says that we prefer a distant prospective view since it provides a greater sense of awareness and more information in an unfamiliar environment. In America, we are a caffeinated society obsessed with productivity. What if we rearranged our priorities to value a sense of calm, happiness, focus, invigoration, and steady workflow? As one of our lovely panel speakers, Helena van Vliet, said beautifully, “a soft fascination–focused, but not stressed”. #10 A 15th Pattern Has Unveiled Itself! Supported by neuroscience - parts of the brain light up when exposed to certain scenarios like viewing the Grand Canyon or looking up at the vast details of a cathedral. This feeling has been associated with more social awareness and being charitable. How do these images make you feel? After the talk, I approached Elizabeth Calabrese, an architect and a speaker on the discussion panel. I told her that as a freelance art director, I've worked in some older Manhattan office spaces and thanked her for being an advocate for contemporary workspaces. She kindly suggested there are small ways to improve your workspace on your own by bringing a plant or even a small desk fountain. These details can add up to make a substantial difference in the mood of your space! I thank CoreNet Global for hosting this conversation and all the room of thought-leaders who are creating workspaces conducive to wellness and productivity. There's one question I have for you as a reader: Which of these points resonated with you most? How has this information shifted the perception of how you work?